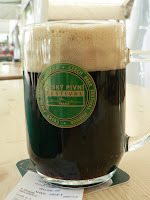 Just as I had promised myself the other day, I made my second visit to Pivní Festival Praha. This time the weather was a lot nicer, pretty warm and with a lot of sunshine. Ideal to sit and have a few beers under the shade of leafy trees. I got there early, again, there was a bit more people than the previous Friday. I went around a little to make some pictures and noticed that most of the stands were already open, and were offering a rather wide assortment of food and merchandising. Not being able to score a free pint this time, without further ado, I headed towards the K Brewing tent. Big was my surprise when I noticed that the tent had been expanded to the neighbouring one, which the first few days had offered only Staropramen and Braník. Svijany, Platan and Janaček had been now joined by Herold. I took a seat and ordered a pint of excellent Herold Polotmavé 13° to drink while I waited for one of my mates, who was already on his way. I enjoyed the beer slowly and noticed that, already that early, there was more people at the small breweries' tents (the two mentioned above, plus Konrad's). 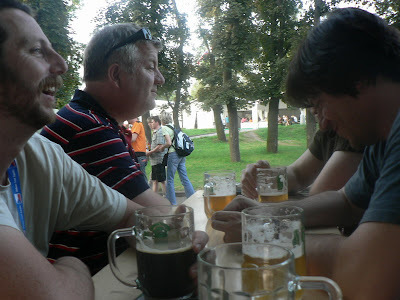 Actually, the only people that were at SAB-Miller's and Budvar's seemed to be tourists o Scottish football fans. 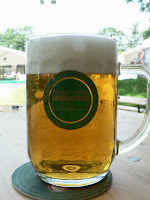 My friend Mark arrived, we had each a pint of the brilliant Herold Tmavé 13° and went to the Konrad's tent. It had been a while since I drank any of their beers, and I had never tasted Jocker, a gold lager brewed at 14°balling that didn't really make it. I found it a bit out of balance, with the added sugar overwhelming a fruity bitterness that, had it been stronger, would have made this beer a great one. I didn't think too much of their 11°, again, the sugar. Anyway, we both enjoyed the service at that tent. They were really friendly with broad smiles and spoke a more than acceptable English when they heard us speak in that language. We moved to the original K Brewing tent. 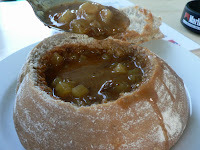 We wanted to have some Rohozec, Černá Hora and Jihlava. All the time talking about how most people seemed to be at these tents, avoiding the others as if it was bad luck to go there. Soon we were joined my friend Eric and Evan Rail, and later my queen. What can I say, we had a great time. We moved between tents, we had really a lot of very good beer. I also had the chance to have a short chat with one of the organisers, Max Munson. He gave me a press accreditation that, unfortunately, I wasn't able to use. Pity I didn't get it before. There had been changes in one week. The offer from the small breweries had been expanded, as well as the space dedicated to them, taking it away from the big boys. The ironies of life. 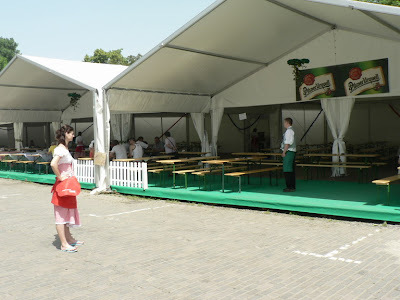 Ten years ago Staropramen was about to close down Svijany, now they were sharing a tent where surely, the very good beers from North Bohemia were outselling the very deficient ones from Smíchov. The policy for ordering food had also been modified. There was no need anymore to go to another tent to get it. The servers will bring your order just as in every restaurant. I found the service efficient and friendly. The taps of the small breweries were now properly tagged and there none of the mistakes of the first days (at least not while I was sober enough to notice). 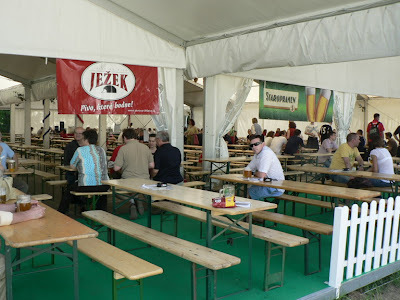 One of the problems that I had heard and read many say, the slowness of the service, had apparently been solved by dividing the six breweries that, at the beginning, were in one tent. 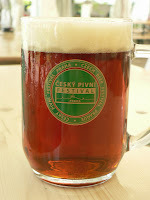 I haven't got any figures, but to me, and regardless of criticisms, the first edition of the Czech Beer Festival Prague was a success. The organisers showed that they are able to put together an event of this size without any major problems, and also that they are smart and flexible people. They quickly realised the popularity of the small breweries and acted accordingly, giving them more space and offering more. - Free entrance, at least until 7 or 8PM. With the level of prices once inside, charging 120CZK just for getting in make no sense. During the week, when I had a long break, I really fancied stopping by there to have a couple of beers, the admission fee made me change my mind. I wonder how many more people thought the same. - Cheaper food. I might be asking too much here. But 156CZK for guláš is way too much. As is 195CZK for a 200g portion of roasted steer, which I tasted and didn't think it was worth that much. And I'm not so sure about the price tag for the soups. 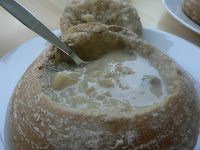 We had kyselo (a sour vegetable and potato cream soup) and gulašova, they weren't bad, and they came in a loaf of pretty good bread, but if it hadn't been for the limitations of the tolar system, they should have been cheaper. 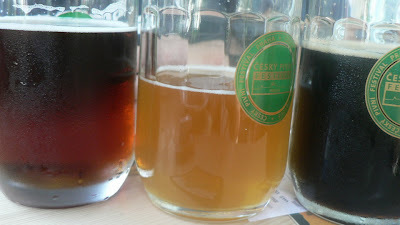 - More small breweries, specially Bernard and Primátor (the biggest absentee). This seems to be already a fact. - Evan would like the multinationals to be dropped. I don't agree. 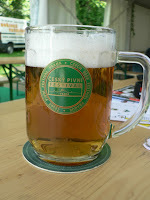 Whether we like it or not, Pilsner Urquell, Staropramen and the local brands of Heineken are an important part of the Czech brewing world and they must be there. Of course, with a lot less space and maybe even sharing one tent. - It's not entirely the organisers' responsibility, but I would really like to see more official support. Beer is national drink here and it is an important part of popular culture. However, the event wasn't even mentioned in Czech Tourism and only the mayor's visit at the opening received some space in the website of Prague's City Hall. 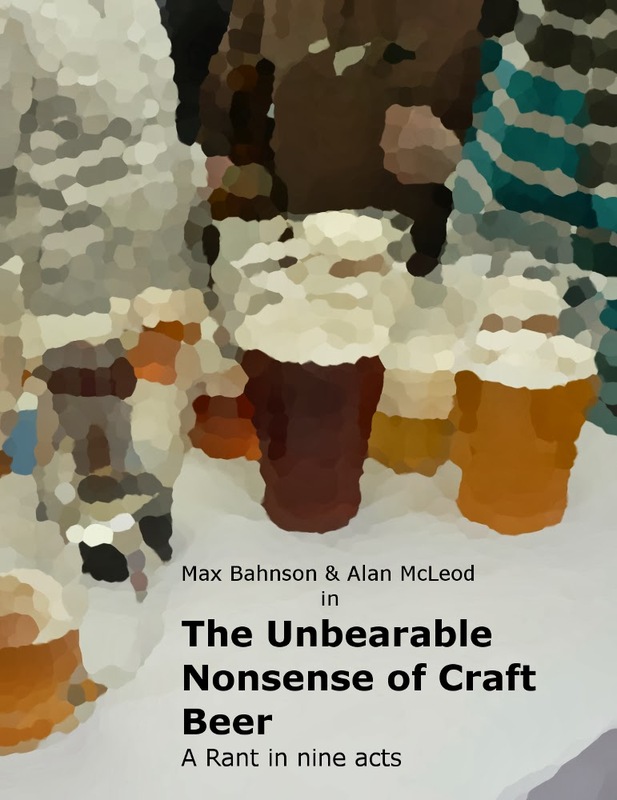 The real winners of the festival were the small breweries, and thus, the consumers. The tents where they were tapped were the most popular by far. People told me they actually had to wait to get a table when they went, while there were plenty of free seats in the other tents. As mentioned before, the relatively high price played in favour of these beers. 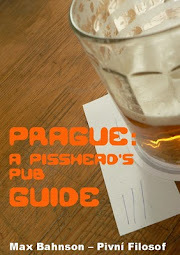 Not many are willing to pay 39CZK for a pint of Gambrinus when it can be found at every corner, and cheaper. But when we are talking about something little known or totally unknown and (after having drunk one) of better quality, the price doesn't seem so high anymore. Svijany, Platan, Konrad, Herold, Janáček, Jihlava, Černá Hora, Rakovník and Rohozec proved that, when everybody plays with the same rules, has the same conditions and opportunities, regardless of size and marketing budgets, can put up a good fight if not outright beat the biggest breweries in the Czech Republic.